Visit us and experience a special elephant encounter which is suitable for young and old, families, couples and single travelers. This is your chance to get a memorable impression of the life of 2 lucky Sri Lankan captive elephants who are not being used for working nor riding. 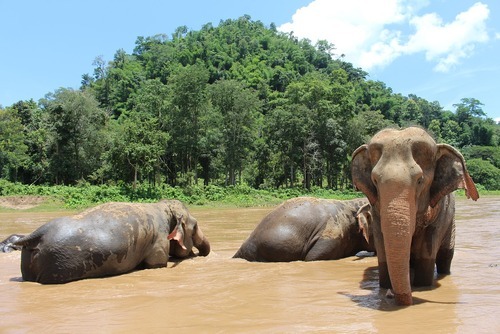 Almost all we do is centered around our adorable elephants Manika and Seetha. Manika is nearly 40 years old and used to work in the wood logging industry. She has been doing this hard work for over 30 years before we rescued her. When she first arrived at the project she was an angry and aggressive lady. Within two days at our project she visibly calmed down and since she is getting more and more relaxed by the day. Manika still gets a little anxious when being touched except whilst having a bath in the river. She is a great elephant and the interaction is totally safe. Seetha At the end of March we welcomed Seetha. She is also about 40 years old. 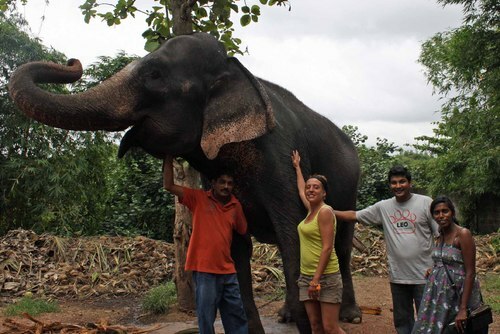 Seetha has been a riding elephant in the tourist industry for a long time. Seetha has been at our project before, in July 2015. That time she had a very bad mahout (elephant keeper). He was hitting her and was drinking alcohol and smoking while being with her. 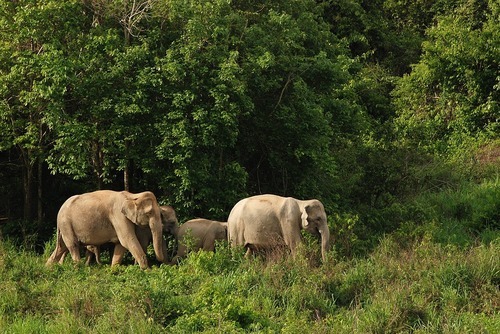 Finally Seetha got a new mahout who is great and now she is back with us. Seetha is a very calm and friendly elephant. 08:30 Welcome and safety talk. We offer an exclusive experience. 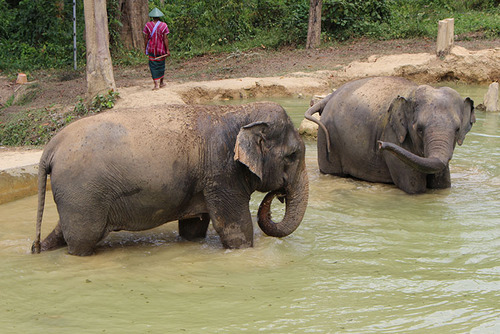 To keep a relaxed and peaceful atmosphere for the elephant(s) and you, we limit the amount of visitors per day. Most people visit us for the day but Longer visits are possible. You can stay maximum 2 weeks at the project. During that time you have the chance to build a bond with the elephants, the family who run the project and the school children. There is not set ititnerary for volunteers, you will have to make your own program together with the family. Many things are possible, the family is very flexible and likes to support you in everything. 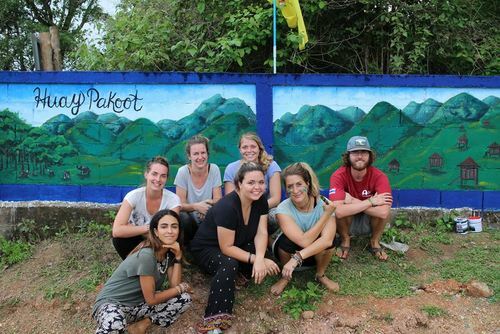 We have had many volunteers during the 4 years that we are open and have found that the most succesful volunteers demonstrate a high degree of independence and initiative while on the project, finding ways to contribute rather than waiting to be asked. 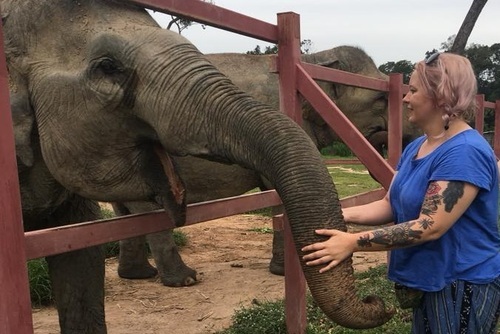 Volunteering with the Elephant Freedom Project represents a unique opportunity working with captive elephants. Your experience will be authentic and your contribution will be meaningful. Our admission fee is high but certainly not expensive for what we offer: a chance to be close with 2 elephants who are not being ridden nor used to work in a non touristy setting with only some other visitors. We have a 98% rating on Tripadvisor and are certain you will have a great time being at our project. 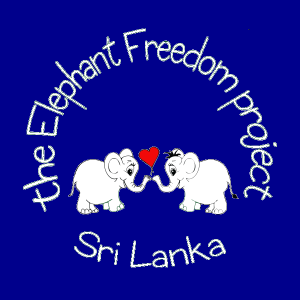 Have you booked with The Elephant Freedom Project? Please share your experience and submit your review.